For their third production of its quintessential 48th season, Ballet Philippines, the first resident company of Cultural Center of the Philippines is presenting the classic and iconic Edna Vida's "The Nutcracker" Ballet Philippines presented this timeless splendor with many versions and this season production will be its tenth (1976, 1980, 1982, 1987, 1991,1997, 1998, 2003, 2009 and 2017) and it became a masterpiece tradition. Vida's original choreographic version premiered in 1987 with Maria Veronica Fargas and Maria Leilani R. Da Silva as Clara, Lisa Macuja, Cecile Sicangco, Gina Katigbak, Melissa Cuachon and Ida Beltran as the Sugarplum Fairy and Nonoy Froilan, Conrad Dy-Liacco, Brando Miranda and Jun Mabaquio as the Nutcracker Prince. Set in the Philippines during the Spanish colonial era in the 1920s, Ballet Philippines promised the retelling of Vida's holiday classic that, audience will experience and explore images of Noche Buena, dance with Rigodon de Honor, illuminate the bright lights of fireflies, see the beauty of bougainvilleas, and the symbolic toys and sweets of Christmas. To complement this full-length ballet in two-act, musical director Gerard Salonga conducts the 42-piece ABS-CBN Philharmonic Orchestra, the music of legendary Russian composer Peter Ilich Tchaikovsky, known for Swan Lake (1876), Sleeping Beauty (1889) and The Nutcracker (1892). Returning to Ballet Philippines as guest artist courtesy of Japan Foundation and Tan Yan Kee Foundation is Nobuo Fujino, former Senior Artist of Australian Ballet and Principal Dancer of Hongkong Ballet. He played the role of The Prince in Ballet Philippines production of The Sleeping Beauty in 2011. Alternating with Fujino as The Prince are Victor Maguad (Shoes++, Peter Pan, Giselle, Manhid, Opera and Swan Lake) and Lester Reguindin (Pusong Wagas, Illustrated Dialects and Swan Lake). 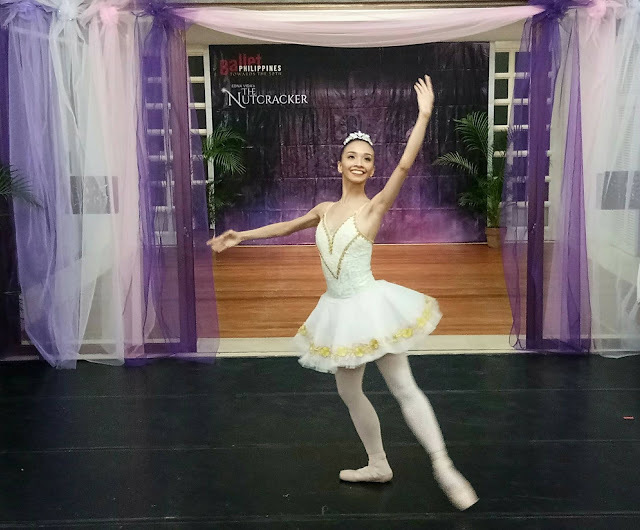 Gawad Buhay Awardee for Outstanding Female Lead Performer in Dance Candice Adea, a resident guest artist of 48th season, returns as the Sugarplum Fairy who was featured in previous production such Don Quixote, The Sleeping Beauty, Peter Pan, Snow White, The Nutcracker and Coppelia. 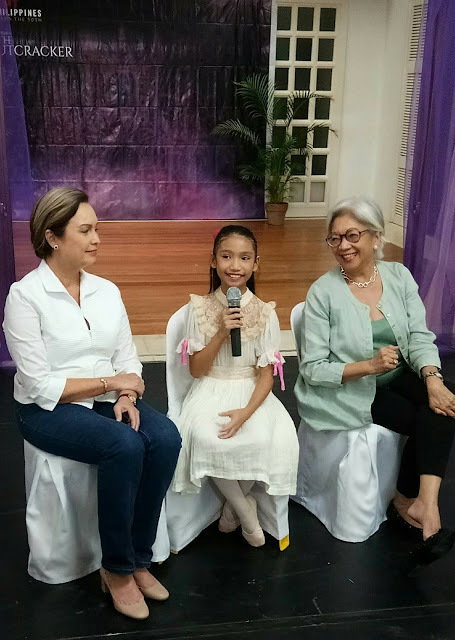 Alternating with Adea are NAMCYA Luva Adameit Awardee - Junior Ballet Category and winner of the first CCP Ballet Competition Denise Parungao (Giselle, Cinderella, Opera, The Firebird, Simoun and Swan Lake) and Jemima Reyes who essayed in Sleeping Beauty, Crisostomo Ibarra, Rama Hari, A Midsummer Night's Dream, Giselle, The Firebird and Swan Lake. 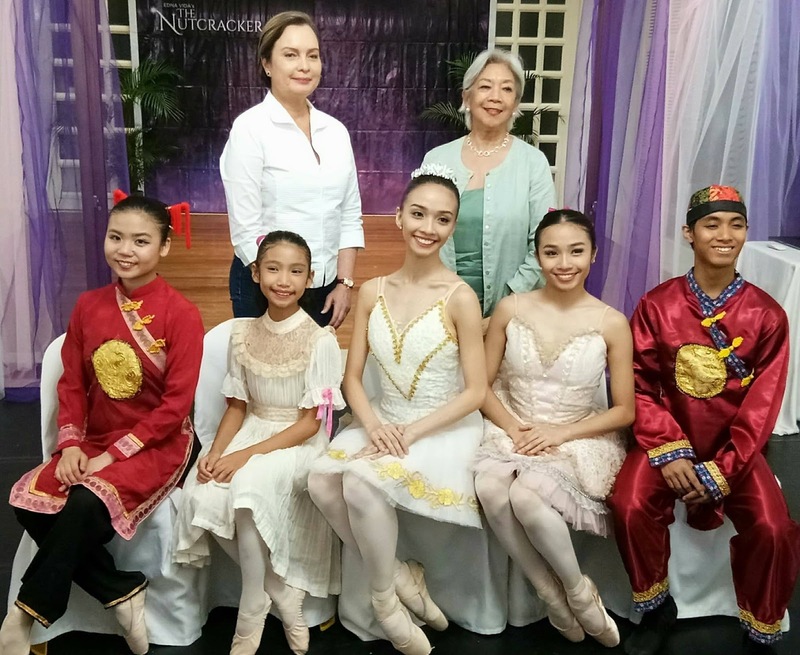 For a complete Nutcracker experience, Ballet Philippines partnered with Chrysara, a creative manufacturing company who specializes in housewares, gifts and accessories, established by Ballet Philippines Founder and Artistic Director and National Artist for Dance Alice Reyes, to showcase Filipino talents, artisans and craftmanships. The Nutcracker collectibles featuring characters like Clara, the Rat King, the Nutcracker Prince and the Sugarplum Fairy are exclusively available at Ballet Philippines. 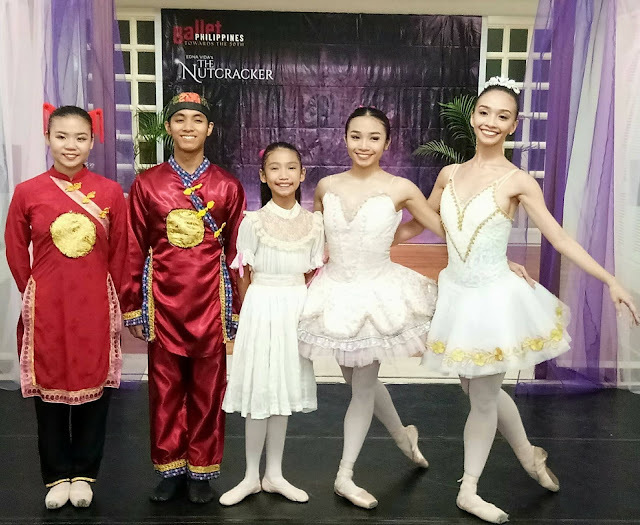 Chrysara's Nutcracker line are available online at, www.facebook.com/balletphilippines and at the CCP Main Theater Lobby from 1st to 10th of December 2017. Proceeds will go to the Noordin Jumalon Scholarship Fund, which aims to support the growth and development of aspiring and promising young students of Ballet Philippines. For only 1,000, audience will get an Orchestra Center ticket for Matinee show and seat at "The Nutcracker Tea Party. " Meet and greet Clara, the Sugarplum Fairy and the Nutcracker Prince, decorate a pointe shoe and soothe Tea Leaves tea and other Bizu treats are also at stake. The party will only kick in on December 2, 3, 9 and 10, right after the matinee performance of The Nutcracker at the CCP Main Theater Mezzanine. Slots are limited.